United Torah Judaism chairman Rabbi Yaakov Litzman on Monday claimed the party had received confirmation of a change in the election results, giving it an extra seat and bringing the Likud down to 35 seats. The eight place is that of Rabbi Yitzchak Pindrus. “We were informed before we met that we gained an eighth seat, at the expense of the Likud,” Rabbi Litzman told President Reuven Rivlin during consultations over who should be asked to form the next government. Later, the Central Elections Committee released a statement saying it had not provided any parties with interim updates regarding the election results, which will be presented to the president on Tuesday. The results announced by the Central Elections Committee on Thursday gave UTJ seven seats and the Likud 36, but it seems the recount efforts have pushed it up to eight seats. Several parties, including UTJ, had complained to the committee over what they believed were mishandled ballot boxes or other problems on Election Day. The Central Election Committee’s initial results placed UTJ just several hundred ballots short of their eighth seat. 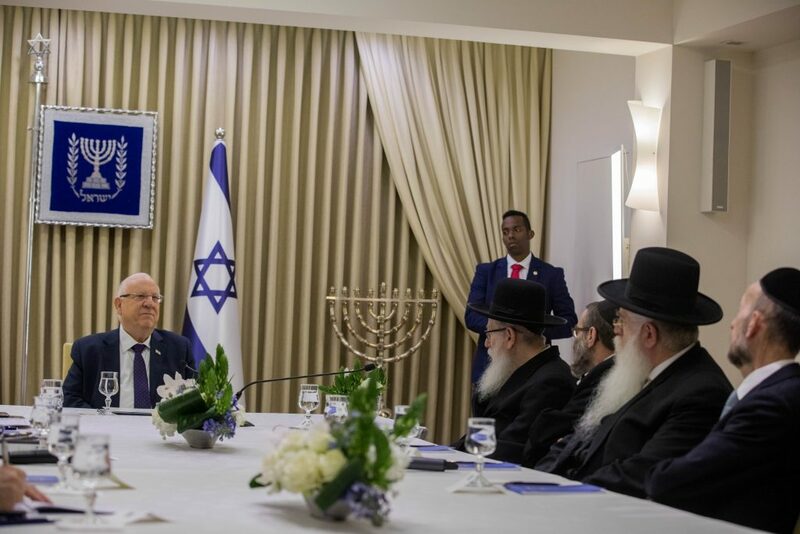 Rivlin met with representatives of the five largest parties on Monday and will sit down with the remaining six parties on Tuesday in order to receive their recommendations for who should get the first chance to form a coalition.